The moringa tree is doing real good in South Africa, bringing sustainable business as well as uplifting the health and feeding of communities. The moringa tree, also known as the horseradish tree is being called the miracle or magic tree. The trees are being planted in Tooseng in the Limpopo province by a brave and dedicated woman, Mavis Mathabatha, who currently feeds approximately 320 schoolchildren, she has been feeding them for the past six years. These children are mostly on government grants and live with their grandparents or a grandparent. Mavis gives them a breakfast in the morning and a meal after school. She discovered the benefits of this tree after being shown it on the internet, she was so impressed that she decided to plant the trees alongside the kitchen garden she also grows. She has been so impressed by the results that can be seen within seven days. She says the children are visibly more alert and healthy with no more signs of fainting at school or lack of energy. The dark green leaves are chopped and cooked into the meals just as you would with spinach with the flavour being quite tasty and acceptable to all who eat it. Mavis has started a secondary business where the leaves are dried, crushed and packed into 90 gram bags for sale, she has had calls for the powder from far and wide around the country. The leaves contain more vitamins and nutrition than anything else known and scientists are still busy carrying out tests for other uses and values of the leaves. Uses found so far include human malnutrition and health benefits, livestock weight gain and milk production, livestock fodder and plant growth. We wish Mavis all the good luck and hope she goes from strength to strength in her ability to grow and sustain this business. The news needs to spread across all the poor communities across the world so that they too can benefit from this powerhouse of a tree. 44 Comments on "Moringa tree brings health to the poor"
The impact of late rains and large failures in yields has put significant strain on a small village in Limpopo, who started looking elsewhere for food and what they found was purely a miracle. The rural village of Tooseng on the eastern border of Limpopo, South Africa has seen little rainfall during the year and this has put significant strain on a community already dependent on grants and welfare. In recent years the community started planting Moringa and using the dry powder to sprinkle over their food. The most incredible discovery was the effect Moringa leaves have on HIV patients. Patients affected with the virus, showed a visible difference in their immune system after receiving Moringa for seven days. Moringa contains other vitamins and minerals such as calcium equivalent to four glasses of milk, the vitamin C content of seven oranges, the potassium of three bananas, three times the amount of iron in spinach, four times the amount of vitamin A found in a carrot and twice the amount of protein in milk. Moringa Oleifera has changed the nourishment of the community and what started out as a subsidiary project, the community is now making a profit from selling the Moringa leaves. The community aims to sell Moringa to the rest of South Africa and support other villages and communities with similar needs. I heard about miracles done by moringa trees. Where in limpopo maybe around lebowakgomo or polokwane can i get moringa seedlings to plant in my yard. Hi all. I have seeds for sale at R2 ea, and will have plantlets for sale by February 2013. Mail me at wsmjvz@telkomsa.net. Johan I can get seed for 40c each. This is not a get rich scheme. Where does one obtain the plants. It fits in so well with our ongoing efforts to look for alternative methods and eco friendly products? I do have mornings plants, I grow them and sell them . We are a special school where the majority of our learners come from low socio economic background. Please let me know where we can buy these plants so that we can incorporate it into our food gaden at school. We have supply quality Moringa seeds at 35cents per seed and Moringa powder 30 for 100g. You can buy from us and re-sale. We have the most competitive price in the SADC region. Please keep me in the loop. I have seed and will be planting very soon down in the Western Cape. Hallo Kim Gouws. Het jy toe die saad geplant in Wes-Kaap en het jy iets om te rapporteur daaromtrent? Laat weet asseblief. 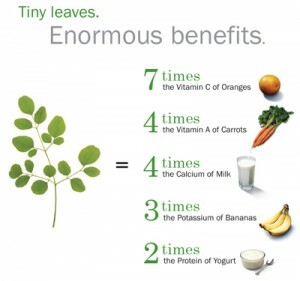 Moringa is the best plant ever, I think I need to start my own farm and sell the plant to large pharmaceutical firms. I’m not doing this for money but for the well being of South African communities. Moringa could safe million South Africans if is availability can become accessible to everyone. Is it possible therefore that Mavis Mathabatha be given a show on the radio or tv channel to share this God send miracle tree with everyone interested. A million of SA’s nutrition and health sufficience can be boasted by this miracle tree/plant. There is a lady outside Tzaneen …she have a big production of maringa going. Mavis shud consult her lawyers and patent this wonderful plant or else the vultures would seize the opportunity. I am in Johannesburg, where can I get the seeds? Hi Jabulisile, Thank you for your comment. 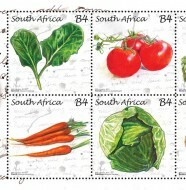 We are in no way connected to the issuing of seed or plants, we have just written about it as something South Africans should know about. If you read some of the other comments under this post you will find some people who are offering seed. We cannot vouch for them at all but you should check out their credentials to see that they are serious registered dealers. 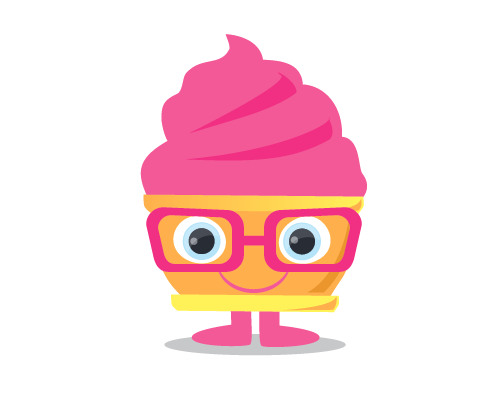 Good luck in your search and have a great day. This Miracle tree is from God and I think everyone should make Moringa as a lifestyle to stay healthy. Hi Victoria, we do not supply Moringa but there are other details of suppliers in the comments, perhaps you could contact them? Hope you find it. Does anyone know where I can sell Moringa in the Eastern Cape? Where can I suppy Moringa? good day, where in Cape Town can one acquire either seeds to start a tree or find trees already propagated and ready to plant in garden, will appreciate advice as to where it can be found or bought in Cape town. Good Afternoon. I am busy with a community project and are planting vegetables at two orphanages and one school with an existing feeding scheme to provide the children with nutrients. Who can help me with a reasonable price. Please contact me on 071 378 7090.
i need to by this leaves in Johannesburg wee can i get them. Where can I find a stockist of the leaves and seeds and plants in Mphumalanga (South/ Secunda Area)? I live and work in the rural aria of the wild coast. Been here for 7 years teaching alternative and sustainable system in a informal manner and are now setting up a more formal project. Can you tel me were I can buy Moringa seeds. I am planting out.some Moringa trees. Do anyone have any suggestions on any organic additional feeding for the trees ?